With the two-week pre-season test at the Circuit de Catalunya-Barcelona now complete, the Mercedes AMG Petronas Formula One Team have headed back to the factory in Brackley to plough through the reams of data garnered across the eight days of running, in preparation for the first race of the season in Australia. New driver Valtteri Bottas was a busy bee out in Spain, completing a total of 628 laps, the most of any driver across the two week period, and the Finn was clearly eager to get acquainted with his new F1 W08 EQ Power+ machine and show he was the right choice to replace Nico Rosberg. Perhaps more impressive, is that the 2,923 km covered, is equal to the race distance of ten Spanish Grand Prix, especially when you compare that to the misfortune of the McLaren Honda Formula 1 Team, who were unable to complete even one full race distance. Team-mate Lewis Hamilton also got down to serious business, racking up a further 468 laps, which saw the team end the two week test with a total of 1,096 laps (5,102 km or the equivalent of sixteen race distances in Barcelona) under their belts, the Silver Arrows were seriously flying. Though there were some minor issues along the way, including an electrical fault for the Brit, which saw him sit out of a full morning session, the team look to have an engine underneath them that is seriously reliable. It all looks rather ominous for the rest of the grid, with the world champions running through their test programme with relative ease and looking likely to continue where they left off last year. 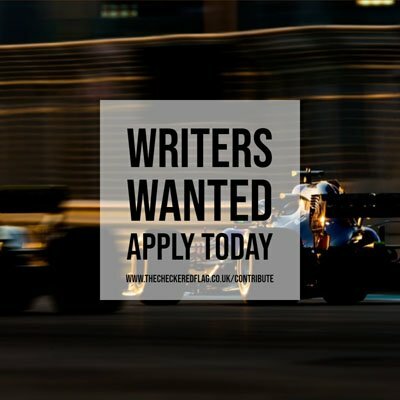 As well as having their own stats to marvel over, Mercedes also have the bonus of customers Williams Martini Racing and the Sahara Force India F1 Team, testing out the reliability of their 2017 power unit, and the figures make for great reading…if you are affiliated with the German manufacturer that is! Across the eight days, the three Mercedes-powered teams circulated the track for 2,681 laps, covering a distance of 12,480 km all told. All three teams finished amongst the top five in terms of mileage on the board, and the German manufacturer completed the most laps of all four engine providers, once again highlighting the sheer might and durability of that Mercedes engine. The German squad did not top the times out in Barcelona, that honour went to Scuderia Ferrari and Kimi Raikkonen, the only driver to go under 1 minute 19 seconds, but it was most definitely a successful two weeks for Mercedes, and they have not done anything to shake off those team to beat predictions. During testing, more than 17,500 turns were taken, 49,000 gear changes made, 70 sets of Pirelli tyres used, 43,840,000 shots of Petronas Primax fuel injected and 4,384 MJ of energy produced by the MGU-K. That is a whole lot of data to take in, but something the Mercedes engineers and technical staff will gladly feast upon in the run up to the 2017 season. With all that impressive information at their fingertips, Mercedes should now be ready and raring to go when they line up on that grid in Australia for the first race of the season, on March 26. VIDEO: Mercedes-AMG Petronas Motorsport | What’s it like to be an F1 Apprentice?